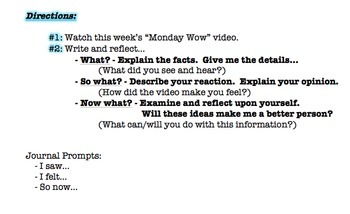 Journal Prompts - Monday Wow! 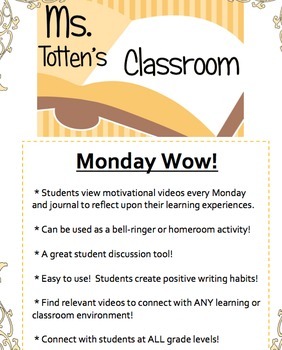 * Students view motivational videos every Monday and then journal to reflect upon their learning experiences! * Connects directly with character building! 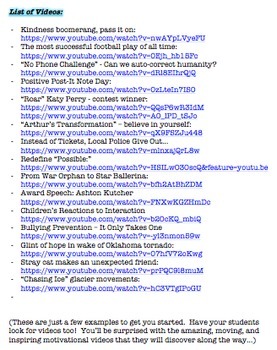 * Can be used as a mini-lesson, bell-ringer, or homeroom activity! 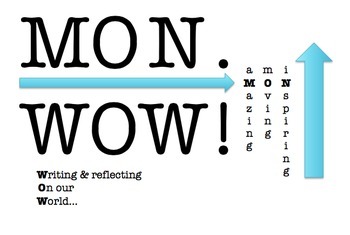 * A great student discussion tool! * Easy to use! Students create positive writing habits! * Find relevant videos to connect with ANY learning or classroom environment! * Connect with students at ALL grade levels!